Tennis offers a vast spread of online betting options for men’s, women’s, mixed and juniors matches all year round. Grand Slam tournaments, tour championships and international team events come with especially vibrant sports gambling scenes. Let’s lake a look at the different types of bets you can make on tennis matches, as well as which tournaments draw the best real money gambling action. Tennis is one of the most popular sports to bet on worldwide. Matches are played almost every day of the year, with the four defining tournaments being the Grand Slams (more on those later). Needless to say, the online betting world lights up during the playing of the major tournaments and you will generally find bonus offers and promotions based around these events. You can almost guarantee that any sports betting website will have extensive tennis markets, with some even featuring live data streams of matches, or even live streaming. Generally it pays to have more than betting account so you can compare odds get yourself the best price. Because Bet365 services over 200 countries around the world, we recommend this to many readers of BettingPlanet.com. However there are plenty of countries where Bet365 is not prevalent. We strongly advise using our table above to find a suitable place to bet. The flag advises you if you are eligible to sign up there, while the review links will tell you plenty more about each individual site. One tennis match can draw upwards of 30 unique betting markets or bet types, ranging from the straightforward to the decidedly niche. Here are several options you will find at all leading online bookmakers. If we were to put $10 on Nadal, we would get $17.50 in return should the Spaniard win. If we bet that money on Federer and the Swiss star won, we would collect $21 all up. Often referred to as the Asian Handicap after the continent of its origin, this type of wager is becoming increasingly popular in sports betting all over the world. Tennis handicaps focus on the total number of games or sets won by each player/team, with the underdog given a ‘head start’ over the favourite. In this case, Stosur gets a head start of one-and-a-half sets over Williams. That means if we stick $10 on the Australian at 2.50 for 1 odds, we would win $25 if she wins at least one set. If we were to stake that tenner on Williams instead, the American superstar would have to win in straights (2-0) to overcome the -1.5 handicap and get us a $14.50 payout. For most major tennis tournaments, online bookmakers will allow you to bet weeks and months in advance on who will win the event. The earlier you get on the outright betting markets, the better the odds will generally be. For example, let’s say Nick Kyrgios shows strong form early in the year and we think he may be a sneaky contender in the Grand Slams. Australian players have a solid record at the US Open, so we decide to make a futures bet on Kyrgios to win at Flushing Meadows. If we take this bet six months out from the tourney, we might get odds of +10000; but if we wait until the US Open comes around, the young Aussie’s good form might see the bookies bring his price in to +2400. Some Internet sportsbooks will also offer special futures markets on a player’s performance in the major tournaments over the course of the year. For instance, we might be able to wager on whether Eugenie Bouchard will win zero, one, two, three, or all four Grand Slam women’s singles titles in 2015. Professional tennis tournaments provide plenty of ammo for multi bets – that is, when you place several separate wagers on a single ticket. Each individual bet is called a “leg”, and you must win every leg in order to collect on the multi bet. For example, even if we went for a monster 15 legs and got 14 of them right, we would lose the bet. The bigger the multi bet, the better the odds – so while adding more legs ramps up the risk factor, it also bumps up the potential rewards significantly. And remember, you can mix your tennis match-ups with soccer bets, cricket fixtures, horse racing – anything you like. These are the most coveted titles in all of tennis. The term “Grand Slam” technically applies to winning all four majors in one season, which only five players have achieved in singles play: Don Budge, Maureen Connolly, Rod Laver (twice), Margaret Court and Steffi Graf. Roger Federer’s win at the 2018 Australian Open was his 20th Grand Slam men’s singles title – a world record. Australian Open: The first major of the year takes place at Melbourne Park during the back half of January. It is consistently one of the biggest betting events on the sporting calendar, with bookmakers taking millions of bets in Australia alone. 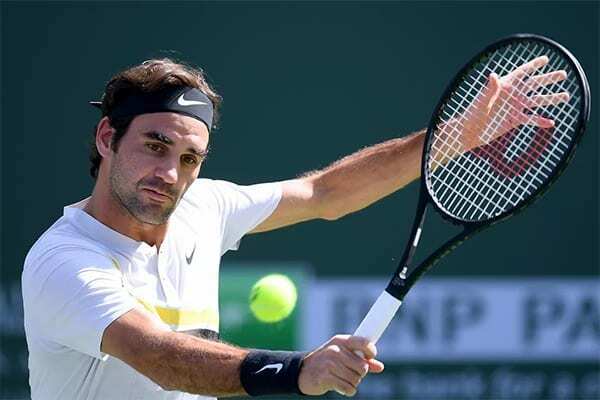 Roger Federer defended his title in 2018 as Caroline Wozniacki broke her duck to take out the women’s championship. French Open: The slower clay courts of Roland Garros make for what many tennis experts consider the most mentally and physically demanding of all the Grand Slam tourneys. The great Rafael Nadal has now won the French an astonishing 11 times, while Simona Halep holds the women’s title. Wimbledon: The oldest of all lawn tennis tournaments is also the most prestigious, and the only Grand Slam still played on grass courts. The Wimbledon Championships come around every June and have produced some of the sport’s most iconic moments: Martina Navratilova’s six straight singles titles in the 1980s; Goran Ivanisevic, then ranked 125 in the world, winning his first and only Grand Slam event in 2001; and that epic five-set final between Nadal and Federer in 2008. US Open: The acrylic hard courts of Flushing Meadows, New York, play host to the final Grand Slam tournament of the season. Sloane Stephens bested Madison Keys in an All-American women’s final in 2017, while Rafa Nadal came out on top of a heavily compromised men’s draw. This is the premier international team tournament for men. The United States (32 titles) and Australia (28 titles) are the most successful nations in the event’s history. France defeated Belgium in the 2017 final to claim its 10th title. What the Davis Cup is for men’s tennis, the Fed Cup is for the women’s game. Again the USA (18 titles) leads the way, ahead of the Czech Republic (10 titles) and Australia (seven titles). These are the only three nations to have held the Davis Cup and the Fed Cup simultaneously. Founded in 1989 and based in Perth, Australia, the Hopman Cup is a mixed event where both men and women compete for their national teams. The 2018 edition saw Switzerland defeat Germany in a star-studded finals series that featured Roger Federer, Belinda Bencic, Alexander Zverev and Angelique Kerber. London’s O2 Arena plays host to what was formerly the Masters Grand Prix, featuring the top eight men’s singles players and doubles teams from the Association of Tennis Professionals’ season-end rankings. Bulgaria’s Grigor Dimitrov claimed the singles crown in 2017, with Henri Kontinen and John Peers taking out the doubles title. Here’s a few nuggets of wisdom to bear in mind when gambling on the tennis: The most important thing of all is to make absolutely sure you know what you’re betting on. There is nothing more frustrating than celebrating a supposed winner only to find out you got your wires crossed and haven’t won a thing. If you’re not 100% certain about how a particular betting market works, look it up and get the facts before you put any money down. Having the patience to search for the best odds available is an essential component of the successful punter’s skill set. Not all tennis bookmakers rate certain players, match-ups, or markets the same, so it’s foolish to take the first price you see without checking out the competition. Always research a player’s form and fitness. How has Juan Martin del Potro gone against Tomas Berdych in the past? Is Caroline Wozniacki any good on clay surfaces? Can Andy Murray last four or five sets with that dodgy ankle? Those seemingly juiced-up odds might not be as tasty as they appear. Last, but most certainly not least: keep track of your bankroll at all times. It is crucial that you never stake more than you can afford to lose. Your gambling money should be disposable recreational cash – it should not come out of your day-to-day living expenses. Know your limitations, set yourself a stop loss, and always gamble responsibly.